Oscoda Head Coach Tucker Whitley prepares his new team. 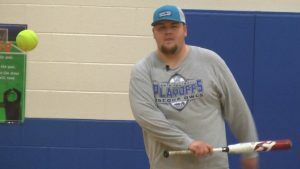 Oscoda, Mich. — The Oscoda owls softball team will step onto the diamond with new Head Coach Tucker Whitley at the helm. Last season under his dad, Mark Whitley, the Owls finished the season (13-8). 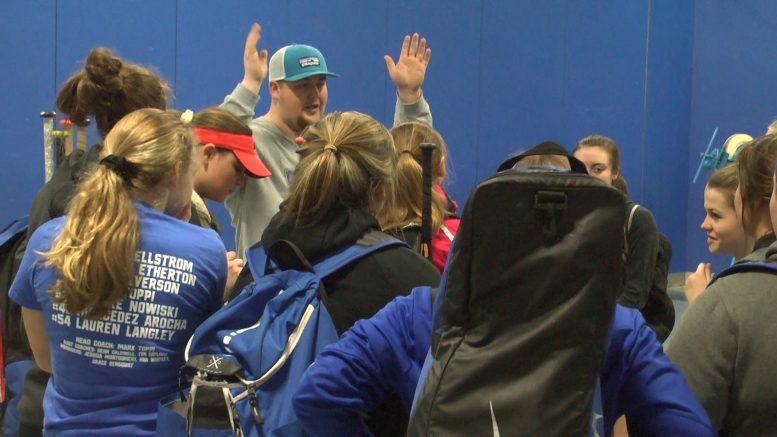 New Oscoda softball Head Coach Tucker Whitley at grounding practice. The seniors will have to pave the way for the youth. Especially four-year varsity players Emma Kane and Lauren D’Annunzio. A lot of freshmen and sophomores will see the field a lot this year including sophomores Izzy Hulverson, Macy Kellstrom and Andrea Bickel who will learn a lot from starting pitcher Kane. With five-plus athletes on the pitching staff this roster has depth. Oscoda senior Emma Kane pitching at practice. The Owls will be very competitive in the North Star League this season, but they know it’s all about having fun.